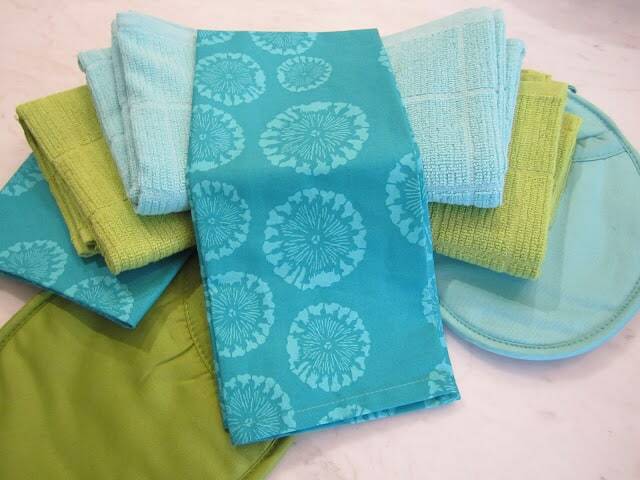 Unrelated to the title, but aren’t these cute dish towels and pot holders from Target? I just bought them for my sister for watching our dog, Rocky while we were on vacation. 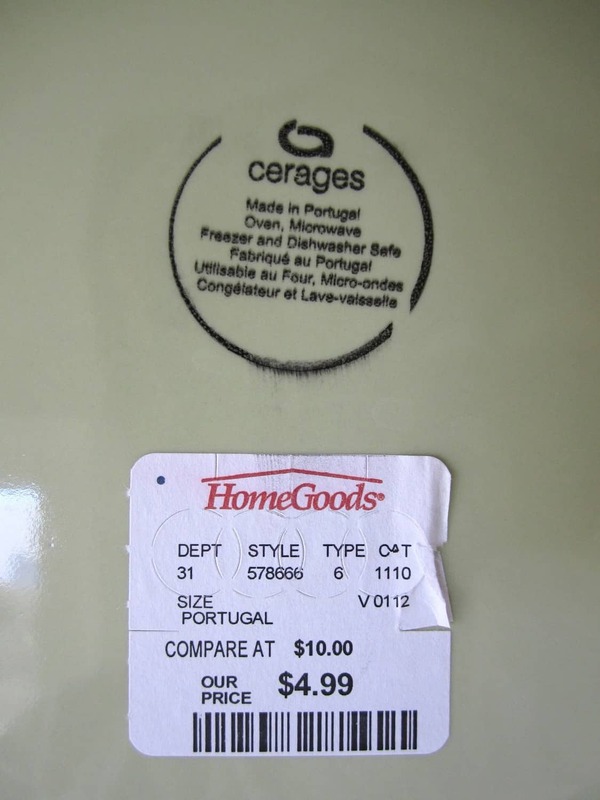 These new, green Portuguese plates are from Home Goods. A bargain! 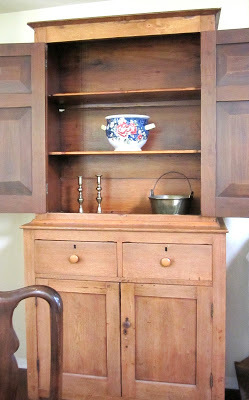 My client, Nancy, has a lovely but empty, antique armoire in her dining room. 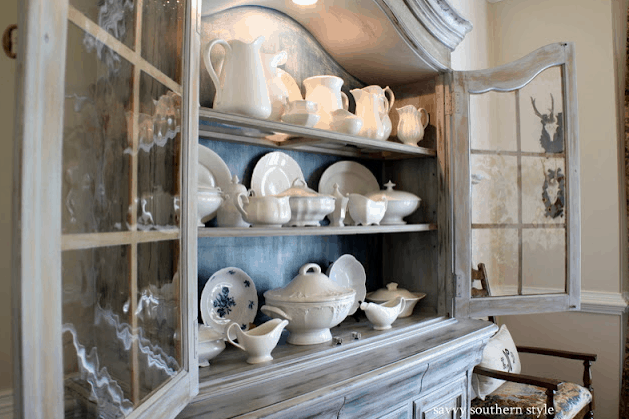 chalk paint like Kim at Savvy Southern Style does below. You can read about it HERE. 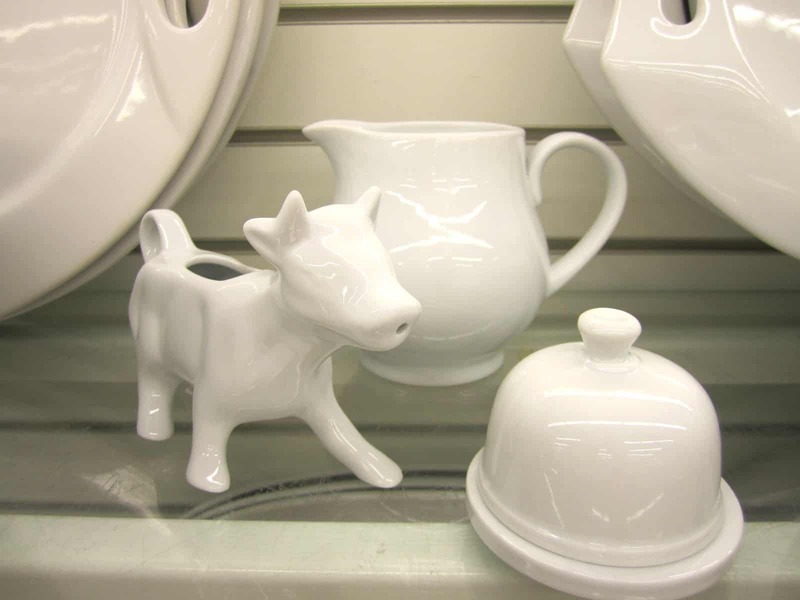 I gave Nancy the assignment to go to buy pretty white pottery to fill the shelves. White chargers from Vietri would look great against the back of the cabinet. I have some Vietri serving pieces that I love…more about that HERE. sweet Mother’s Day gift (with your home-made dessert). I’ll do a before and after post of Nancy’s living and dining rooms eventually. 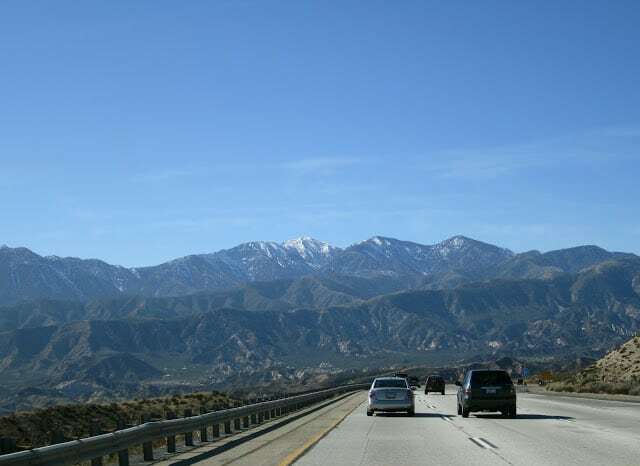 Los Angeles mountains into the desert. It’s easy to coast at 80 mph if you are watching it. So, I went with this class with the catchy title. “Madame Leadfoot” has been redeemed. 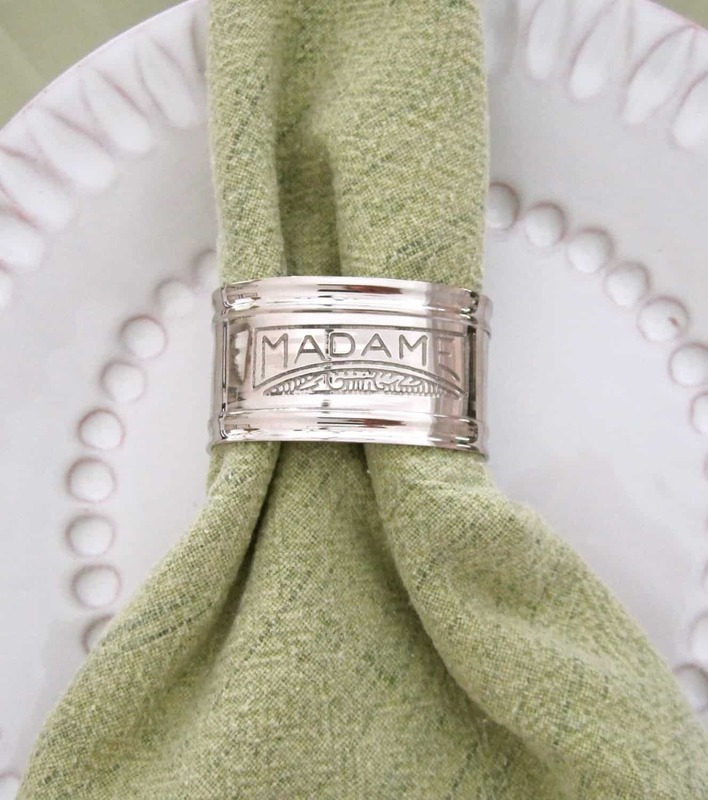 You can find the silver plated Madame/Monsieur napkins rings HERE. we thought this combo would make a nice wedding shower gift. How sweet to give me a shout out. Thanks. I am a lead foot, too and have been very lucky so far. You had to take a class? We just pay the ticket here unless you have been caught too many times. I need to check out our HG again. Thanks, Mary Ann for my homework assignment! It's funny that you mention Kim's blog because your blog and her blog are the first two I check out everyday! 🙂 Can't do my homework today as I am off to have lunch at a Temecula winery. Thanks for the speed reminder! Don't you just love Home Goods? I've been eyeing these plates and would love to have them, but since I have oodles of dishes….I MUST resist the urge to buy them! And then there's Vietri! My heart skips a beat whenever I see it, but this time, my pocketbook reminds me once again…I must resist!!! I do have the wonderful Madame and Monsieur napkin rings which are my favs. Now to speak to your lead foot, that grade is impossible to not speed down. Especially because everyone else is going 80. You'd get run over if you went 65! So sorry you were one of the unlucky ones to get a ticket. But then, it's a reminder we need to slow our lives down and be safe. Been there, Mary Ann! I try to be careful, but it is difficult if headed downhill. They need to get some bad guys, huh? I LOVE the napkin rings and all of your smart purchases. Good taste you have. I love the armoire ideas you've given her and can't wait to see the finished product. I love the green plate with your other china! Love giving these type of homework assignments…hunting and gathering what you love. Oops on the ticket…always hear a voice in my head that says…lets slow down and the minute I do I see why Highway Patrol watching. So haven't received a ticket yet! 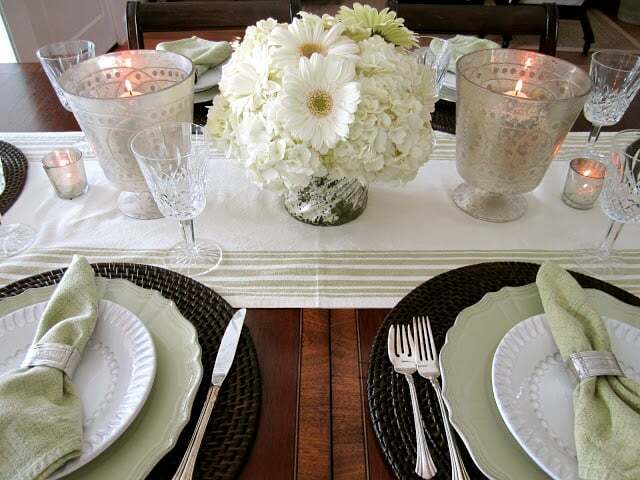 Earth Day Weekend love the green and white plates and table dressings that really make you feel special with or without guests coming. Lovely! I am so happy they are opening a Home Goods 3 miles from my house. The only one in San Diego used to be 25 miles away. I never seemed to find the time to go drive up there except for once. You do have excellent taste! 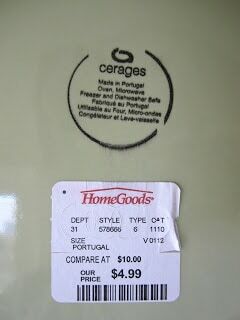 I LOVE Homegoods, but sometimes it is hit or miss for me! l Love your new plates. I just went to renew my license and found I had to take the written test…I was so NOT prepared but did fine. I didn't want to stand in those lines a second time to go home and study so I winged it. Laws are so different from state to state. never had a ticket, knock on wood! Can't wait to see Nancy's reveal! Well, Were you doing 100? lol I love all your new finds at HG…and those cloth goods are perfect for your sister. 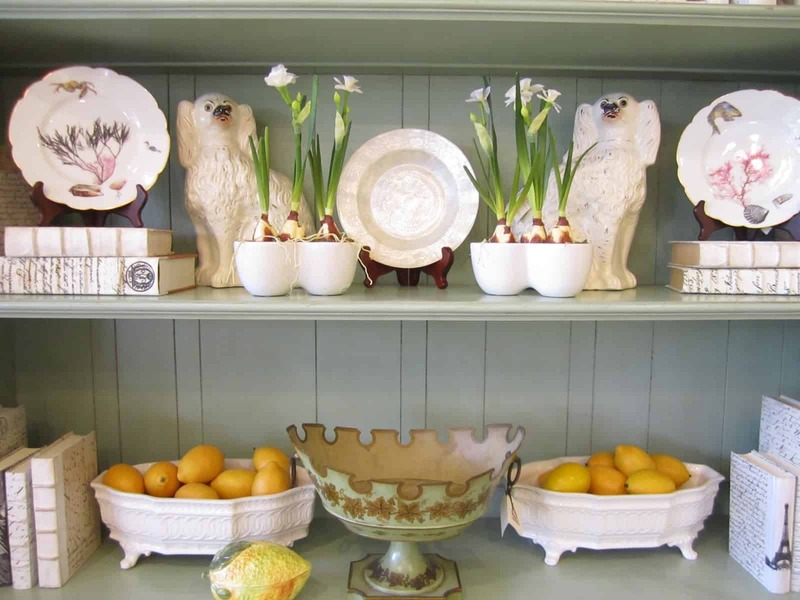 "….brush with the law" – I thought, a decorating crime????? Of course, seen many of those. But not you. 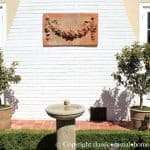 Great post, Mary Ann! Sorry about the ticket! 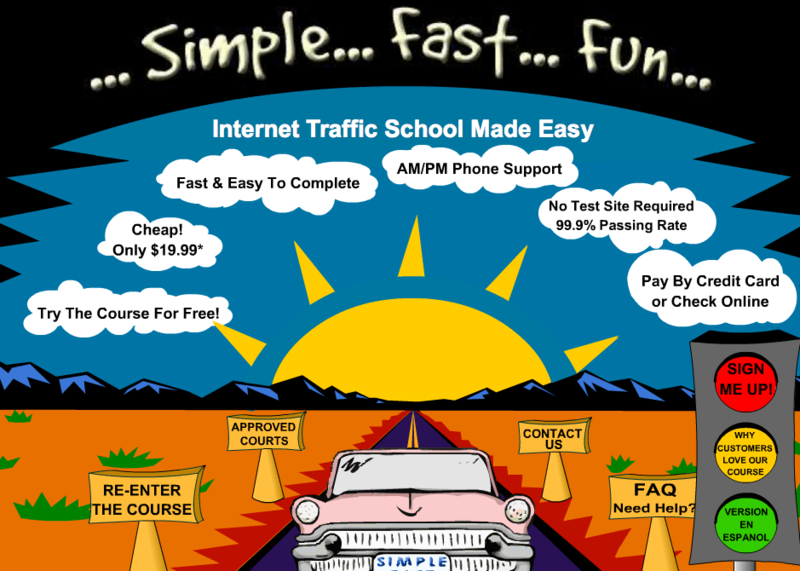 I have never heard of doing the traffic school online! Well, your table setting and choice of china is beautiful! Homegoods is so great! Enjoy the rest of the weekend! I've driven that road many times and have exceeded the speed limit – easy to do. I did however receive a "speeding conviction" for going 31 mph in a 25 mph zone. He was waiting around the corner and GOT ME..
Great deals you found and love the china! Thanks for the good ideas and great sources. Have a great day. Love the table setting and what a fun homework assignment.. Can't wait for the reveal. 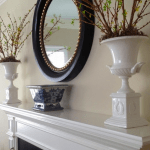 I am too looking for an antique wall plate to cover one of my dining room walls. Live to shop for gorgeous plates. Thank you for sharing. Just came back from Coronado today and we love it out there. You set the prettiest tables..so fresh clean and beautiful and you find the best deals too! The Home Goods here in the last year honestly has gotten pretty junky, not worth going to much..the last thing I bought was hangers and hand soap….woo hoo! 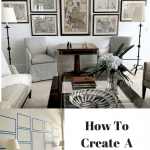 Great ideas here and love the inspiration for the hutch! Pretty table…..wish had more time to entertain…..Poo on the ticket. My nephew has been living in California for the last year and has gotten so many tickets for such weird things….parking in front of the airport….crossing lines….like at least 10 tickets for various thing…but no speeding. Dang….I have gotten caught AFTER I have had the cruise on for hours only to take it off going UP a hill and forgetting to put it on BEFORE going down the hill. Bummer. Tablescape…great! Love Vietri, don't have any myself but love it! If there is an IKEA anywhere around you guys they have some great white dishes. I find most of mine though at HG…and I love odd shapes too…have lots of triangular snack plates! 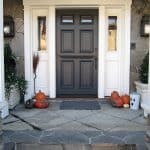 Can't wait to see how your client paints her cabinet! Or are you going to do it for her? I'm getting ready to do a couple small tables for a client! Lovely table settings and hutch vignettes. 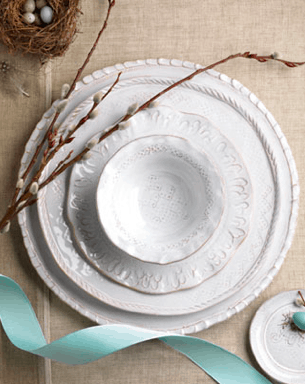 I love Vietri, even though I don't own any pieces I have always admired the various plates, platter and chargers. Can't wait to see Nancy's hutch. It sounds like you gave her some great decor advise. Don't you love Homegoods! 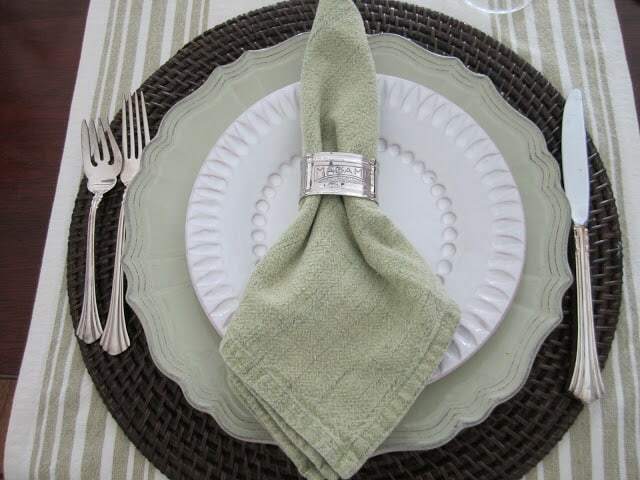 The table setting looks so good and you have such a knack at it…To bad about the ticket. Mary Ann, you are too ugh! what a fun story and what GREAT FINDS! love everything. Bravo Madame! Sorry, comment was "you are too much!" Mary Ann, I didn't even know you could do traffic school on-line! I have been stopped four times but I always talked them out of giving me a ticket. I think they just wanted me to shut-up and couldn't wait to get away from me. Love your new plates and please show us Nancy's hutch when it is finished. Cute on all the white china and YUCK! on the ticket. 🙁 Sorry you had to deal with that. M.
home goods has seriously amazing stuff sometimes! you just have to be patient, I've find! I love your table setting…the flowers, the candles and of course your table itself is a gorgeous place to start. And who knew you could take an on line course for a speeding ticket…that must be a CA thing? 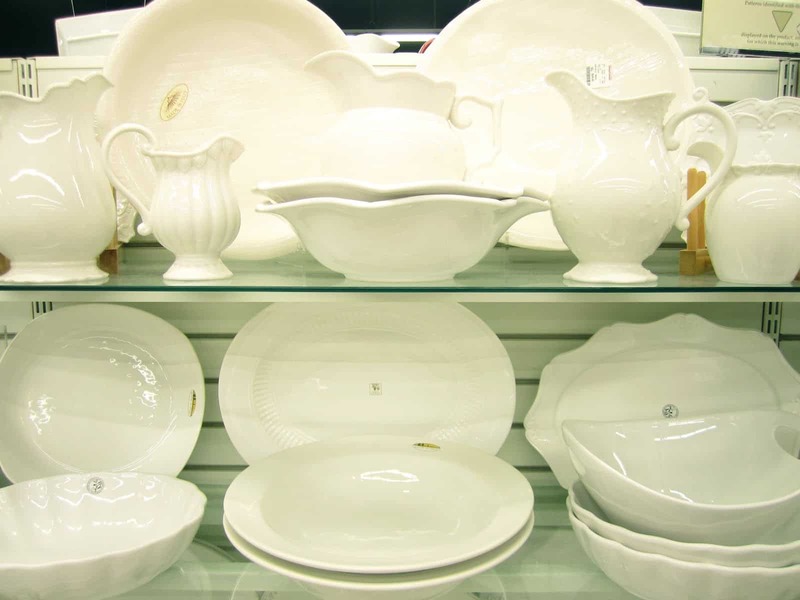 White dishes… sigh Isn't HomeGoods the best? Ouch! Sorry about the ticket. The Home Goods finds are lovely though. I've spent so much time uncovering wonderful finds in that store it's like my second office. Sorry about your ticket! I once got a speeding ticket in a school zone. That ticket was expensive. That taught me a lesson! 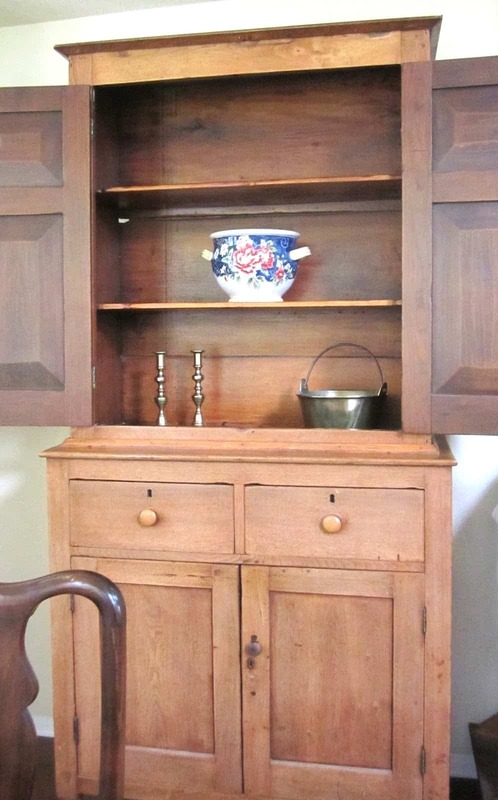 I love the ideas you have for the hutch. It's going to be so pretty with all the white dishes. Okay Madam Leadfoot! You are hilarious. Traffic school is painful (I know)! But your tablescape looks absolutely beautiful!